According to the report, this is not an okay thing to happen. STANFORD, CA—Citing how devastatingly uncomfortable it makes people feel, a new report released by the Stanford University Sociology Department revealed Wednesday that it’s never okay to just start talking to someone you don’t know. The report, which analyzed numerous conversations that took place over a nine-month period from September of last year through May, states that approaching a complete and total stranger and saying “Beautiful day,” “That’s nice, where did you get that?” or “Hello” is, under no circumstance, acceptable. In fact, the study confirmed that in 0 percent of cases do individuals ever want to be spoken to by someone they don’t know, and that it is “downright wrong” to put people who are just going about their day in the awkward position of having to be polite and feign interest in what you—an unknown intruder, essentially—are saying. Experts say something like this, with two people who know each other, is fine. The report indicates that even in situations in which you might share common circumstances with a stranger—such as when you are both in a long line that doesn’t seem to be moving, or are both experiencing hot, cold, nice, or terrible weather—it is unacceptable to verbally acknowledge that reality. The appropriate thing to do, the report notes, is to face forward and keep silent. 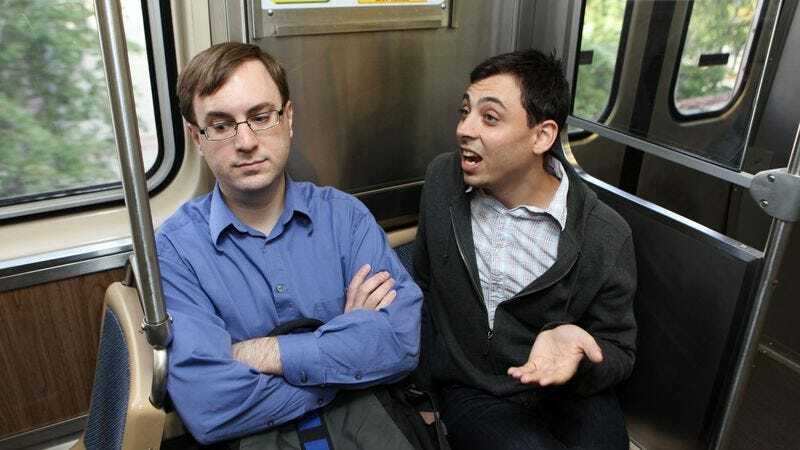 The study confirmed the following people never want to be spoken to by a stranger: people eating at the same restaurant as you; someone who is wearing a pair of shoes or a hat you like; individuals who are also waiting for the same delayed train; coworkers; a man or woman who is using a laptop you are considering buying for yourself; an individual attending the same sporting event as you; a young person who works at a job you once had years ago; and anyone who has children or pets, especially if you are a person who also has children or pets. According to the report, the people who are living correctly are those who don’t want to step outside their comfort zones and relate to others.